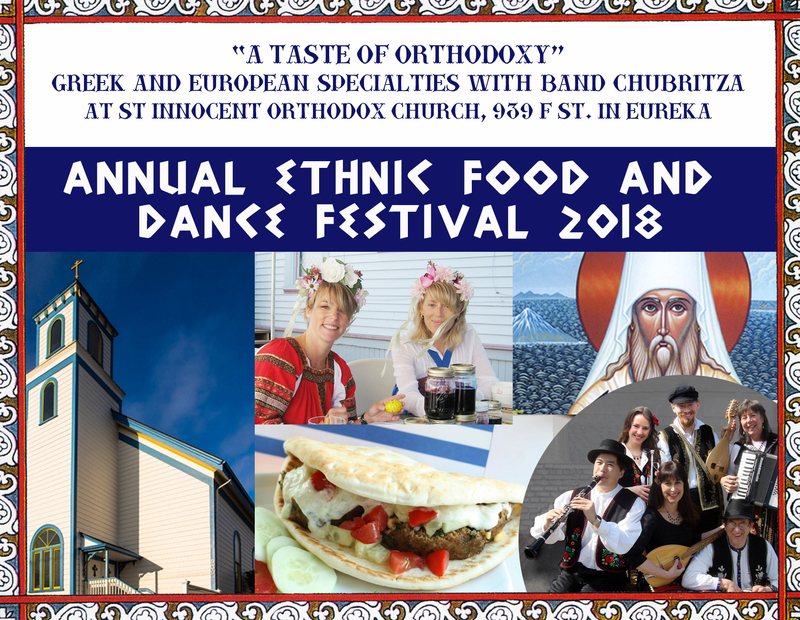 Eureka’s 15th annual Ethnic Food and Dance Festival will take place on Saturday, October 6th (2018) between noon and 4 pm, as usual on the grounds of St Innocent’s Orthodox Church, located at 939 F Street, Eureka. 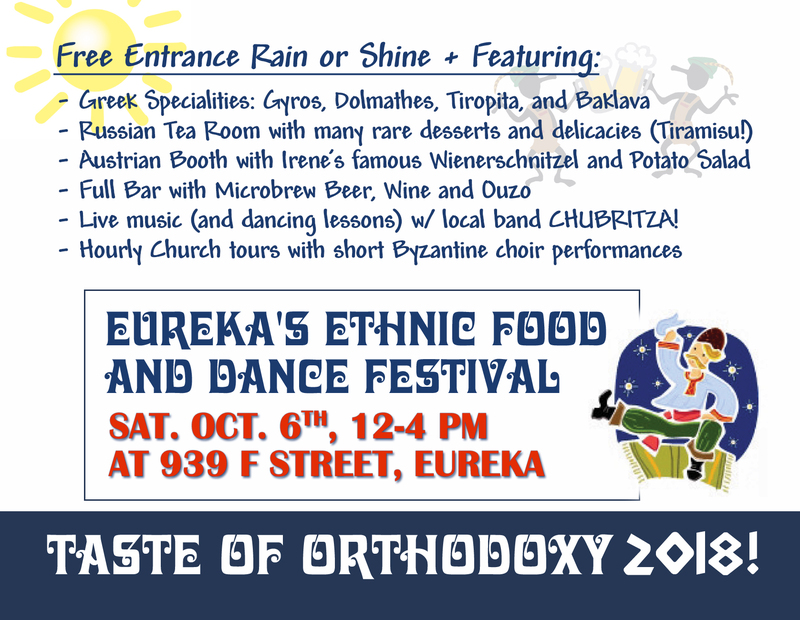 This popular “Taste of Orthodoxy” annual event will once again feature local ethnic band Chubritza together with a variety of Central European and Greek food booths. The popular “4th of July gyro booth” will make one last appearance until next year and the Russian tea room will serve such delicacies as Italian Tiramisu and traditional lemon pound cake. 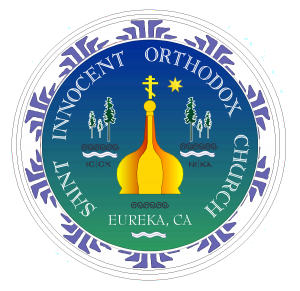 The choir will offer hourly Byzantine chant performances during guided tours of this amazing historic temple which is the oldest standing church in Eureka, built in 1883. All are invited to attend this festival, and admission is free.